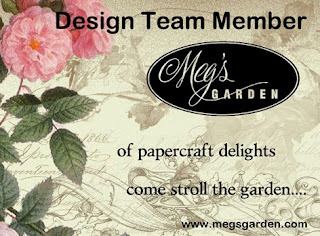 I have been working on a few things for Meg's Garden recently and love working with her products. 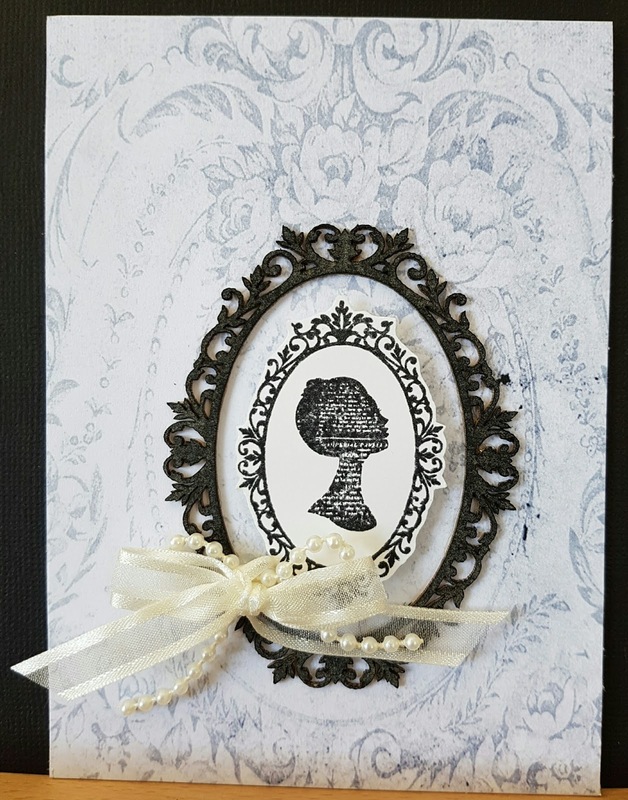 Using the French Chic range with the Card Artists' Packs/Mini Papers, I have made a few more cards. 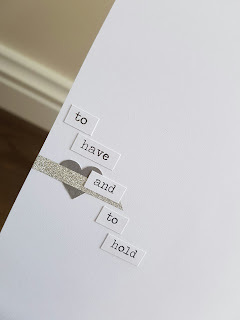 My cards are simple, trying to make the most of the pattern paper from Meg's design because they are so beautiful and could be a card on its own. I have used Meg's rose satin seamed ribbon, a Pink & White Apple Blossom Flower and the pearl trim looped under the flower. I didn't want to lose the butterfly behind the ribbon so I cut around the wing to lift it up on top of the ribbon. 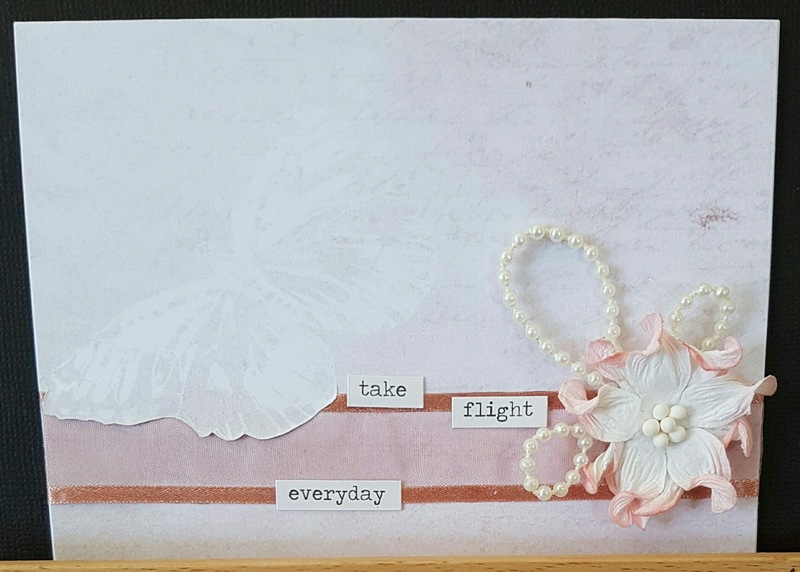 And I used the sentiment 'Take Flight Everyday' to finish the card. 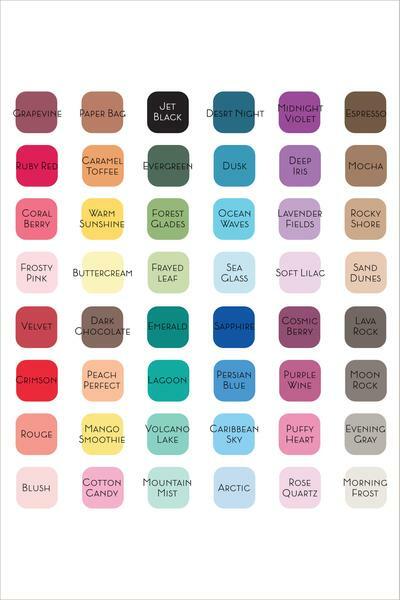 My photo is very light, so the dusky pink is more like the image above. I have used a cream satin seamed ribbon along with the pearl trim to make a layered bow on an oval chipboard frame that I inked black with a stamped image of a silhouette portrait inside. The paper was a perfect frame for this simple design. It's a card that is suitable for any occasion. 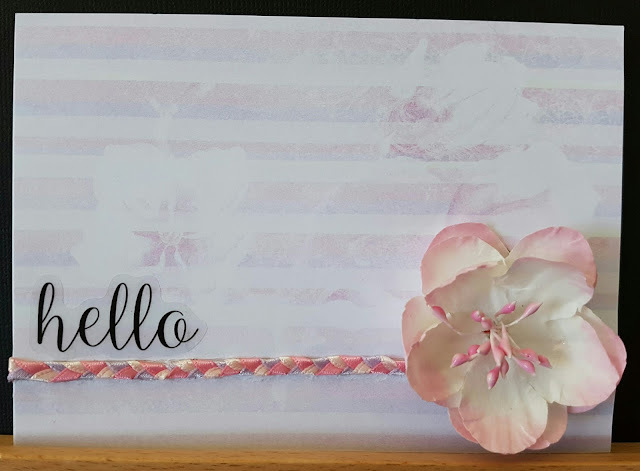 I braided 3 coloured, 3mm satin ribbons, that matched the pattern paper, on top I used a pink rue flower with stamens with a simple Hello clear sticker and it's another simple card that shows off Meg's paper. 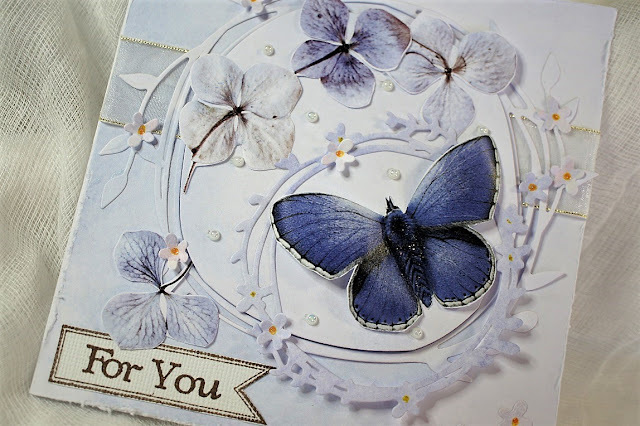 I hope you've enjoyed popping by to see my card samples today. 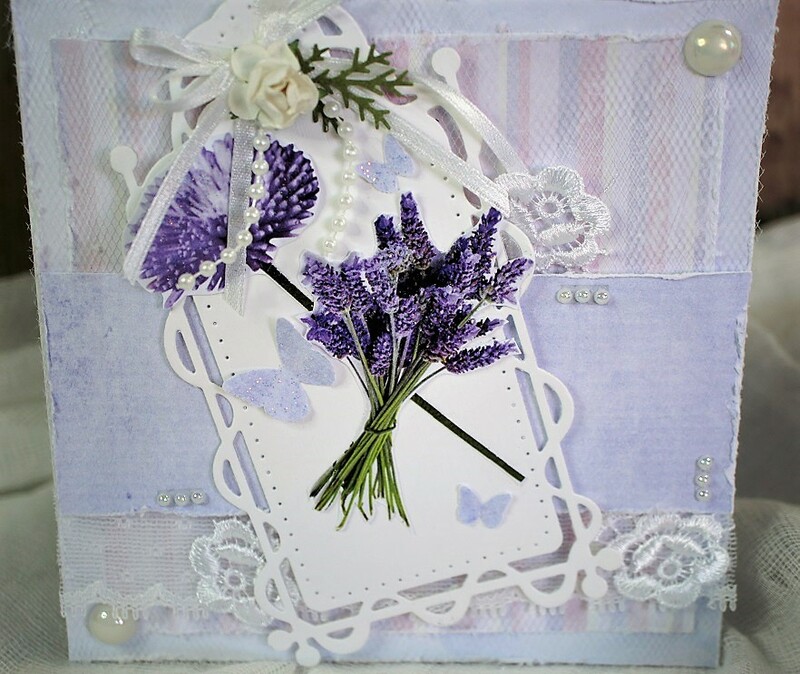 I would like to share with you my 2nd set of cards that I have created from the beautiful Shabby Chic Background collection of patterned papers. 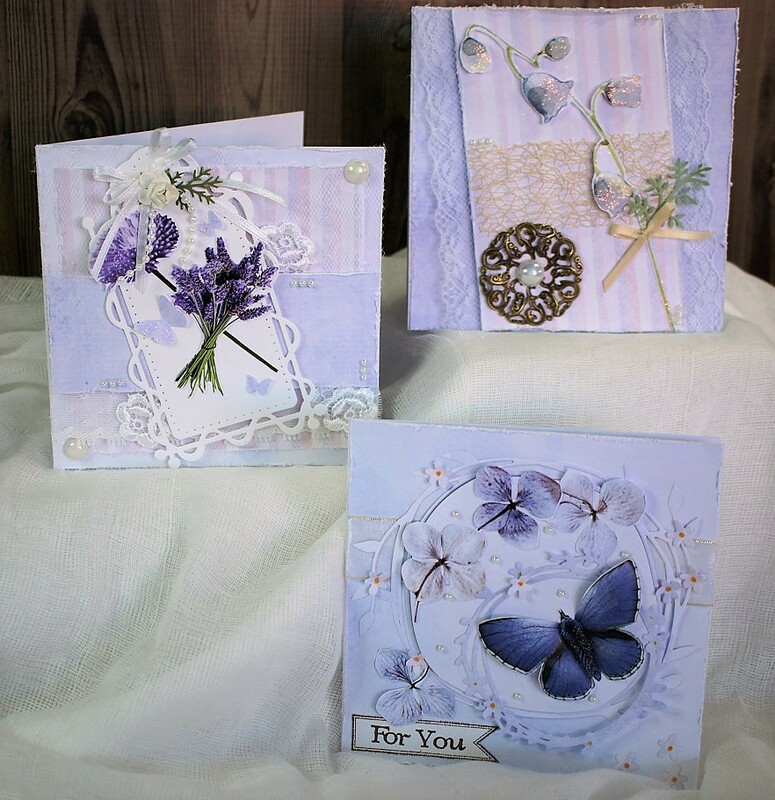 I have embellished my cards with lace, ribbon, fussy cut images, a metal charm & a die cut paper feature. Hello everyone and welcome to the Garden!! Hope you are having a wonderful day! 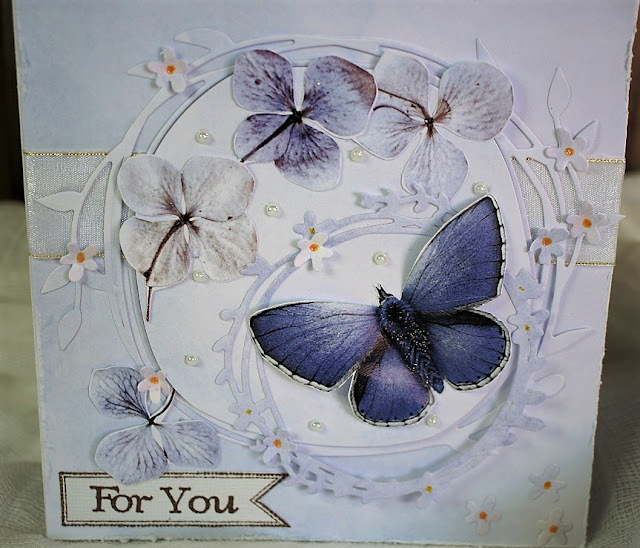 I'm here to share two cards made with some stunning papers created by Meg. 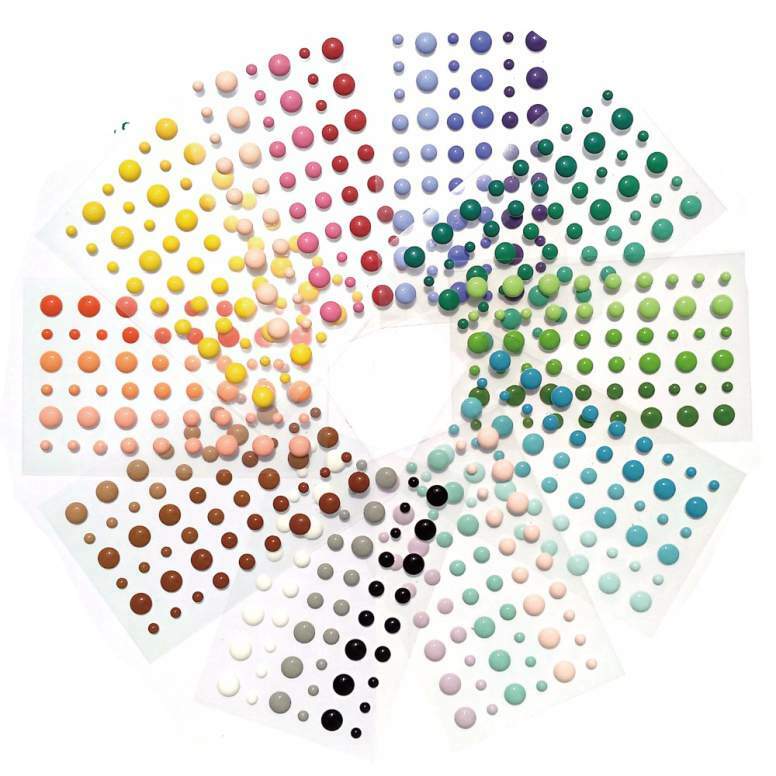 The collection is called In the Watercolour Garden (hence my post Title) and it is absolutely gorgeous!! 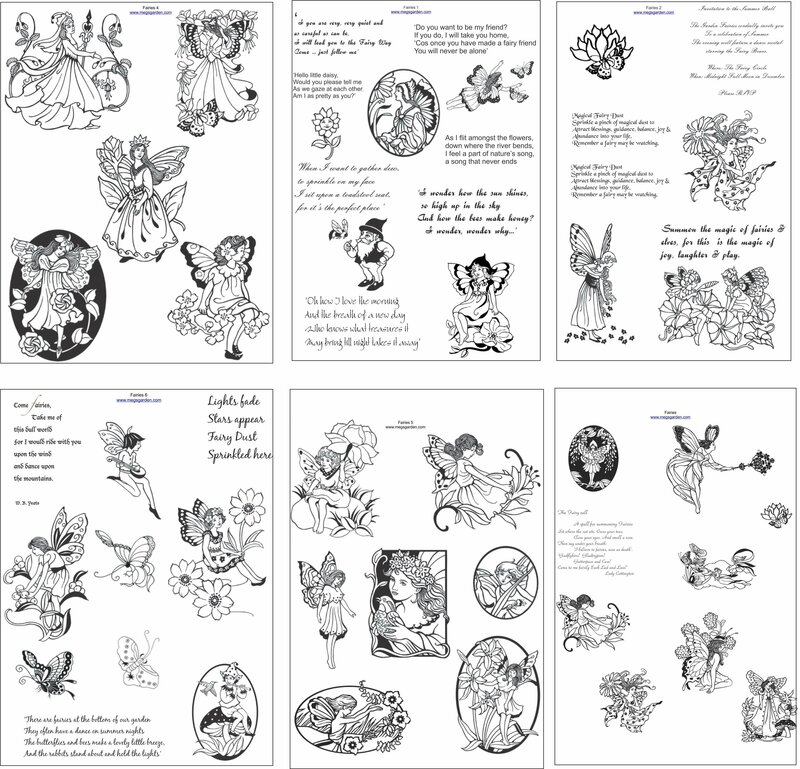 The papers I have used here are from the A4 digital version but you can also purchase these papers in different sizes in both digital and printed format. All of Meg's papers are fabulous to use as backgrounds but they also have some lovely images as well so, whatever you wish to create, from cards to layouts to mini books, there is a size and design to suit your needs. For this card, I printed out two copies of the paper and cut one to size to be used as my base layer. 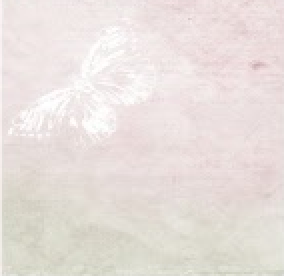 I fussy cut the butterfly and two flowers from the second sheet and layered them over the original image. I used some double sided foam tape to give it dimension. The flower petals below were all from my stash and were all originally white. Some of them were coloured with Lindy's Stamp Gang spray and others with watered down acrylic paint. 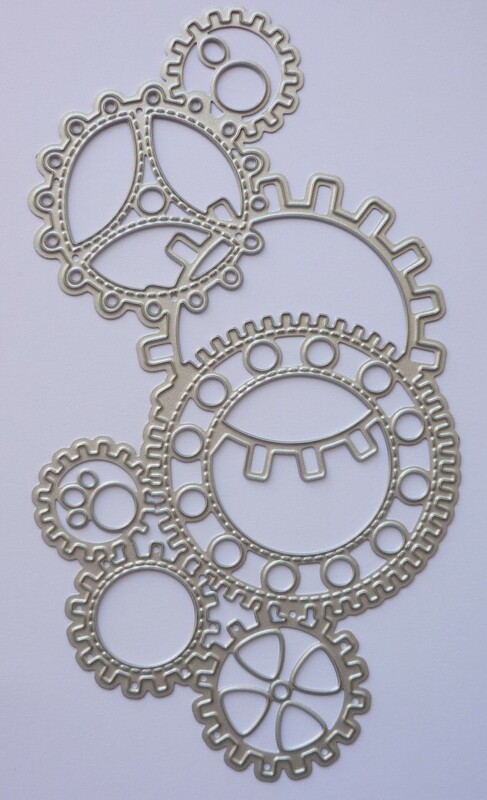 I then simply layered them to fill the chipboard frame and added some seed beads for the centers. For my second card I printed a single sheet of my selected paper and added a bit of stenciling with texture paste in the top corner. 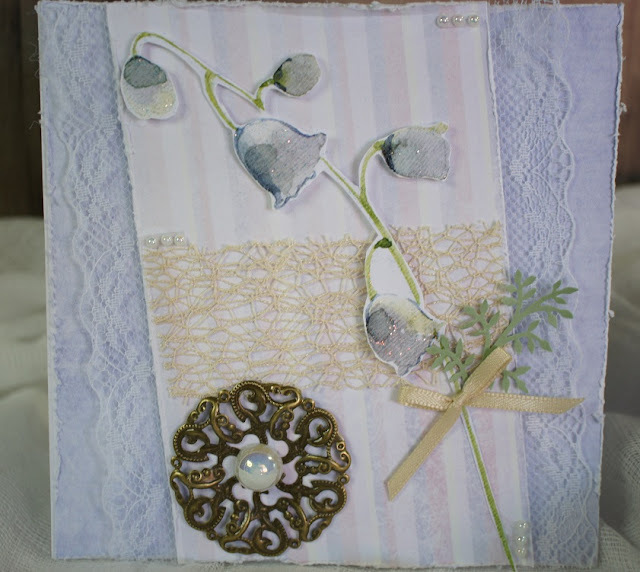 Some pretty lace from my stash was adhered down the center of the card. I also added a piece of gauze and a couple of straws before attaching the flowers. The blue flower is from my stash. 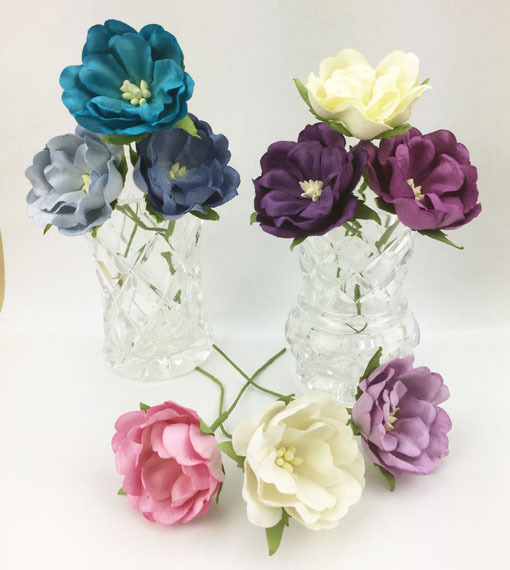 The smaller flowers are from the Garden. 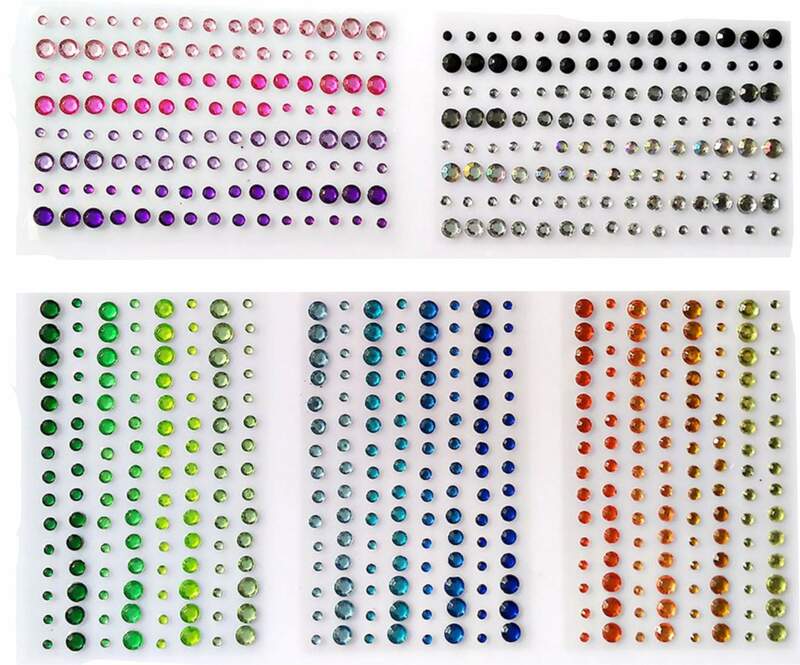 All of them (except for the white one of course) were coloured with sprays. The chippie is from Scrapmatts and I simply left it raw. To create a bit more interest and texture, I added some prills and microbeads. Instead of twine, I created the bow with some knitting cotton. I find this best to use when I want a soft, floppy bow. 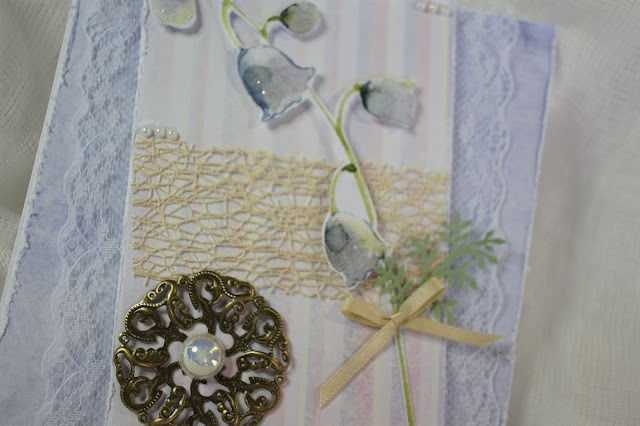 Although the laces I used on these cards came from my stash, Meg has some beautiful laces in her shop. 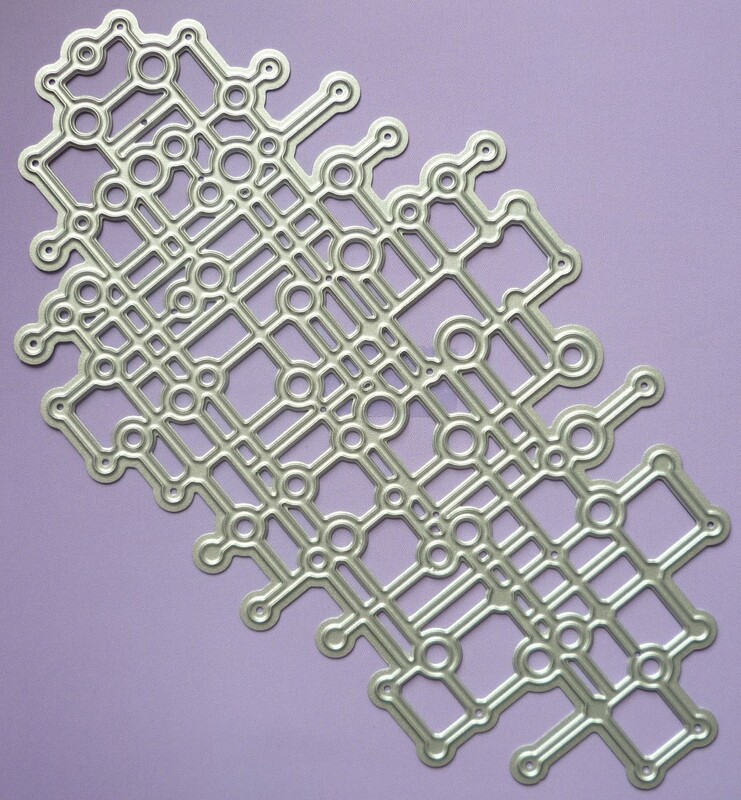 Some are similar to the ones shown here but there are many more to choose from. Thank you so much for dropping by and taking a look. To see all the fabulous products Meg has in store HERE is the link. Why not take a further stroll through the Garden and take a look at the fabulous creations by the rest of the Team. I am sure you will find some wonderful inspiration here. 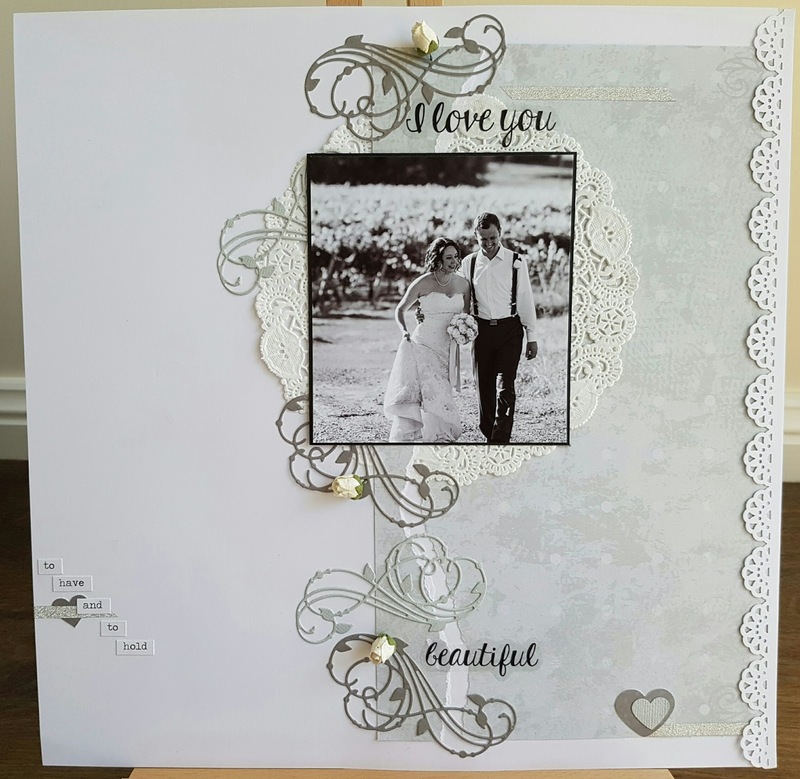 Hello Mary here to share a layout with you , using the "In The Watercolour Garden "paper to document a happy moment captured on my daughters wedding day. With the lovely delicate lace pattern around the paper I think it is lovely for a wedding layout. 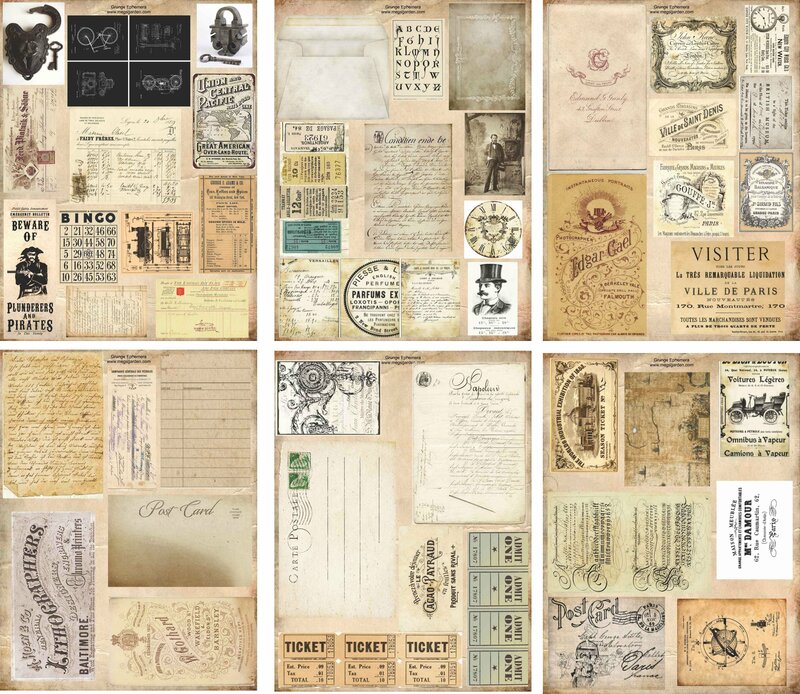 I have layered up images from the cut and create sheets behind the photo and inked the edges for definition. 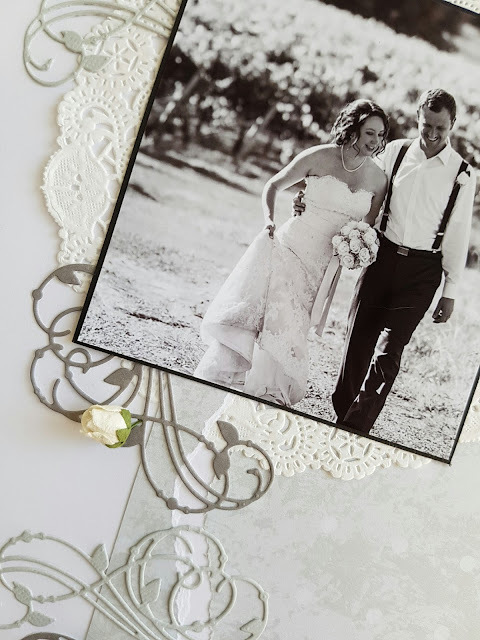 I love the gold Victorian photo corners that I have placed at opposite corners of the photo. The large butterfly I have fussy cut from a cut and create sheet. The flair is from my stash. I finished if with a cream narrow ribbon bow added to the flower image on the paper. Hello everyone. The page I did today was a 12x12 book cover for 2017. I carefully choose different items and pictures that represent the past year. 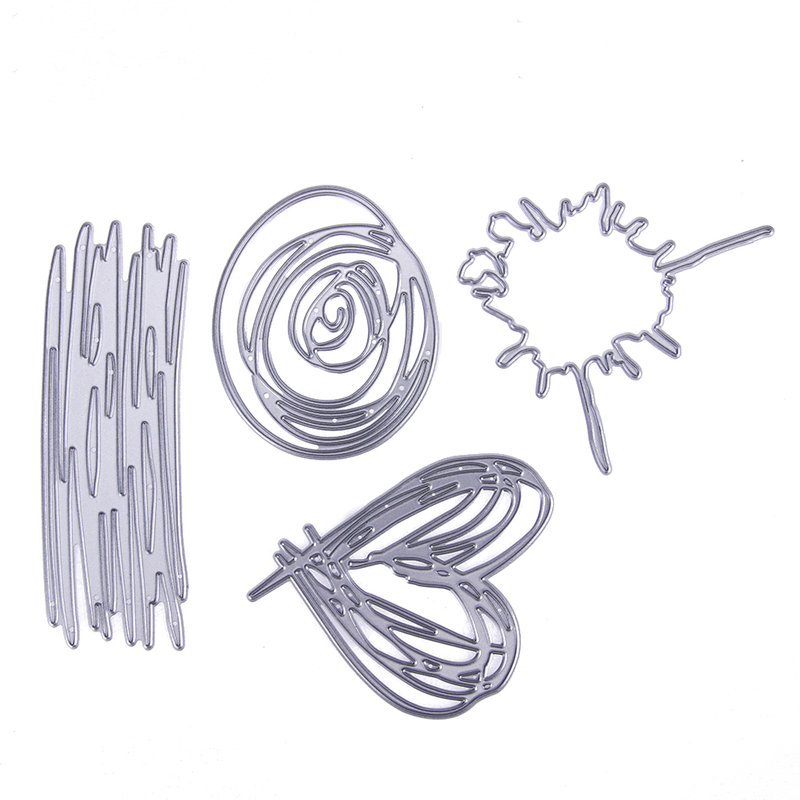 I used a feather from my Guinea fowls to go with the ink nib. 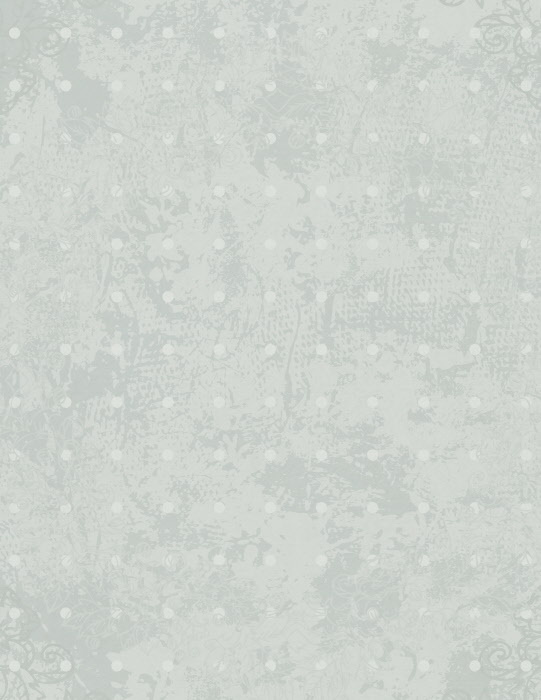 Today, I used the marl grey spotted pattern paper in a layout on a plain white 12x12 page. I scrapped a black and white photo from my wedding day, on the 1st of February 2015, so we have recently had our 3rd Anniversary. 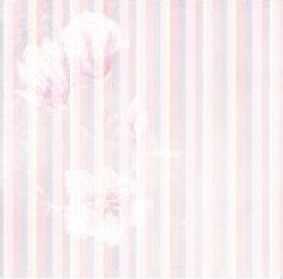 This is the pattern paper below that suited the black and white photo for this wedding day layout. 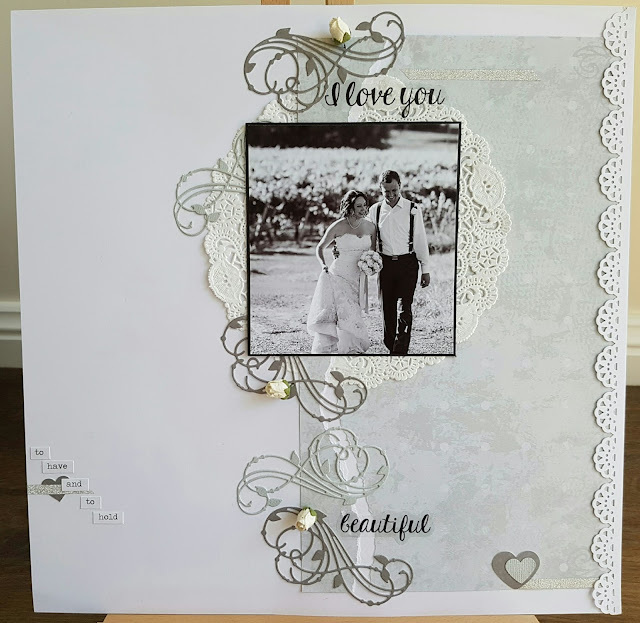 I used a wedding title to finish the layout off. 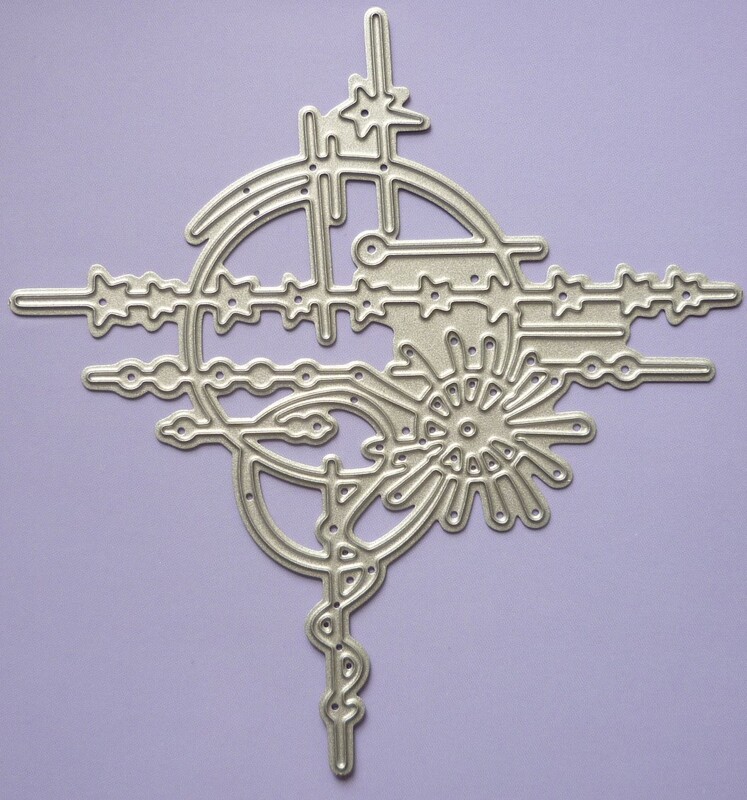 Oh my goodness, Look at that beautiful die, from Meg's Garden. 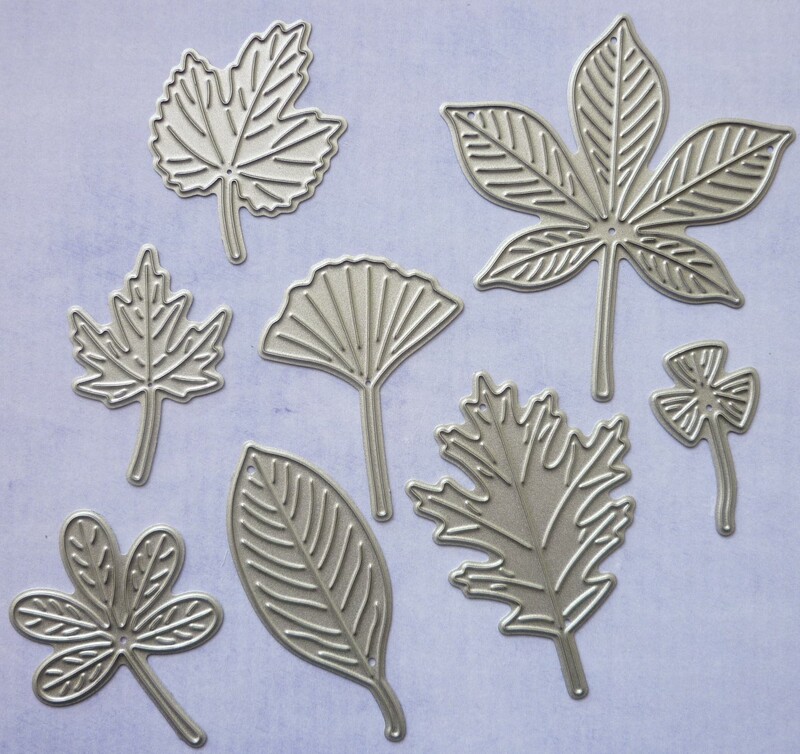 It's called Elegant Lines - Small, click here to see all the amazing new cutting dies over at Meg's Garden. I want to purchase them all!!! 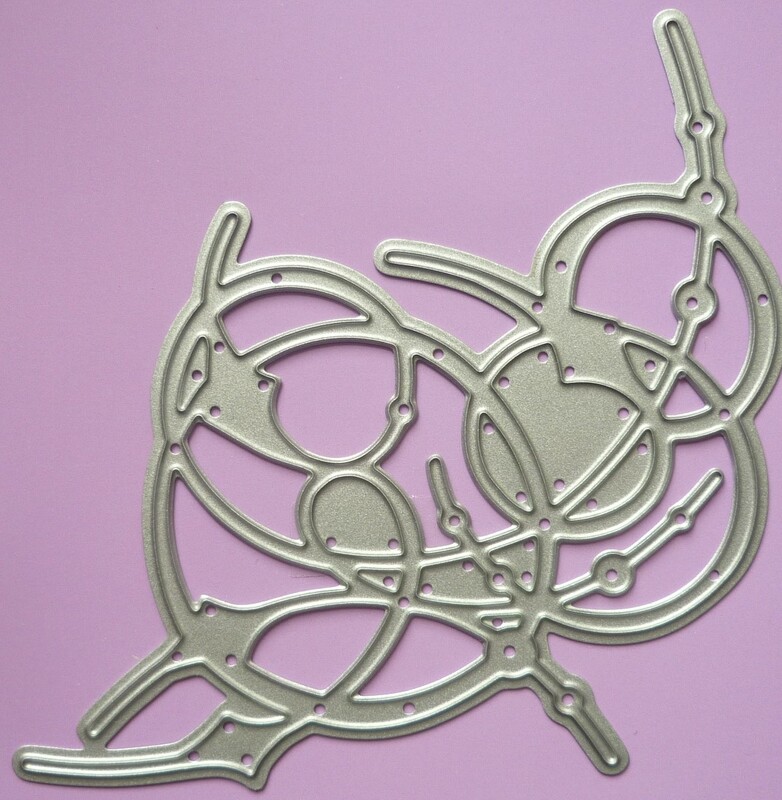 I have limited myself to 3 so far so to see more of my work with these new dies, stay tuned. I hope to back again soon with more delights from Meg's Garden. What a way to continue a magical year of inspiration!